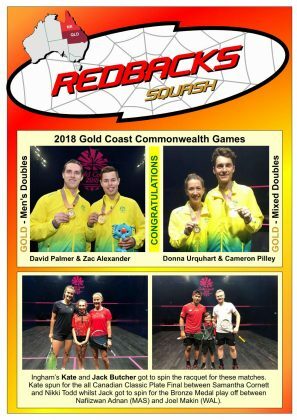 The July 2018 issue of the Northern Region Redbacks Newsletter is here! Please send stories, news and photographs to Kim Schramm for upcoming editions. By Kim Schramm. Photos by Toni van der Kreek. 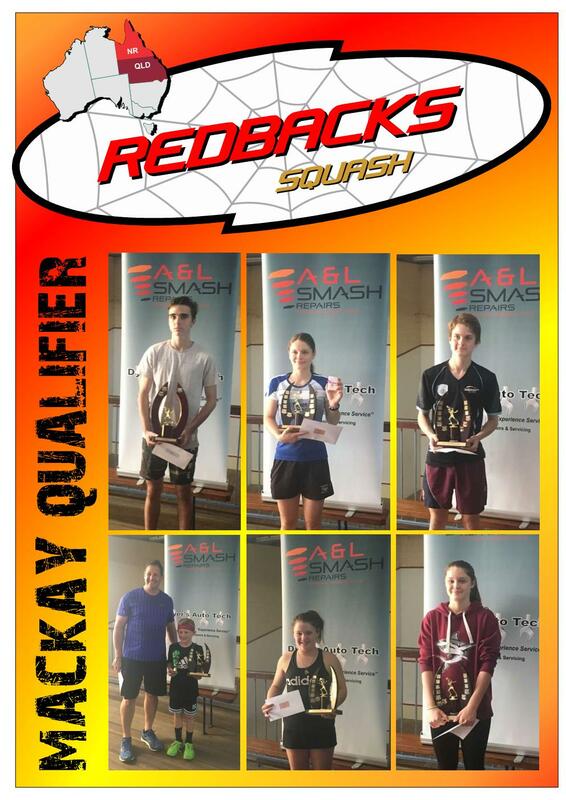 Northern Region has 6 Individual Champions after the 2018 Queensland Junior Individual Championships concluded today at Scottvale Park Squash Centre in Rockhampton. Many of the finals went to five. Obviously, that is a great indicator of the closeness of competition but more importantly the depth of talent Queensland has and will send to the Australian Team Championships as the Queensland Sharks aim to win the Overall National Team Title for a record 15th consecutive time. Of the 23 matches (12 finals and 11 3-4 Playoffs) 9 matches went to five, 2 went to four and 12 were over in three. Of those 12 matches 8 were 3-4 Playoffs. Congratulations to our Champions: Michael Lawrence, Wes Dyer, Payton Douglas, Hayley Hankinson, Courtney Mather and Summer Palmer. You have achieved the ultimate prize. You are all 2018 Queensland Junior Champions! Congratulations. Congratulations to our runners up: Kurstyn Mather (twice), Liam Fascetti and BJ MacDonald who all went desperately close to being the champions for 2018. In fact, every final they contested went to five! Finally, congratulations to Michael Lawrence, Brad Martin and debutant Hayley Menta who all kept on fighting to win the 3-4 playoff on the last day. Many players find it hard to get over a semi final loss and bounce back the next day. Finishing third displays great fortitude in bouncing back and striving to keep improving. Michael Lawrence fought back from being 0-2 games down against Redbacks team mate Liam Fascetti before staging a sustained fightback. 13-11 in the fifth was a fitting finish to a quality match. Lawrence also recorded a great result in the older age group (U13B) finishing third. He had a good 3-0 victory over arch rival Nickolai Wolpers. Wes Dyer is back to his very best. In a high quality final Dyer rushed to two games to nil lead before Penfold staged a mini fightback. In the end Dyer displayed the class that saw him win the Australian Junior Title in 2016 taking the 5th game 11-5. Payton Douglas was just a cut above the rest as she dominated the U13G competition. She remained undefeated and didn’t drop a game across the 6 matches she played … she won 18 games to nil! Welcome back Hayley Hankinson! The “competition” caught up with you but you have now turned things around and emerged victorious. The U17G event is highly competitive with nothing separating the semi-finalists. Both semi-final matches went to five and the final was no different. In fact, even the 3-4 Playoff went to five as well. Hankinson is a worthy champion. Courtney Mather was sensational winning the coveted U19 title. It was back to back U19 titles for the Emerald Express! Courtney travels to India later this month to compete in the World Junior Championships in Chennai, India. We wish her well. With only two girls competing in U21 it was decided to run an U21 Mixed. Trophies were then awarded to the leading male and female. Mackay’s Summer Palmer actually even got to play the other female in the final match … the 7-8 Playoff. Palmer lost the first and then just snuck home 15-13 in the second before running away with the match. Palmer also finished an agonising 4th in the U19G losing the 3-4 Playoff 8-11 in the 5th. Special recognition must be made of Kurstyn Mather. It was her best QJC in a long time and she must be commended on an outstanding overall performance. She is the only NR player to reach two finals. Despite giving it her absolute best, she lost both in five. 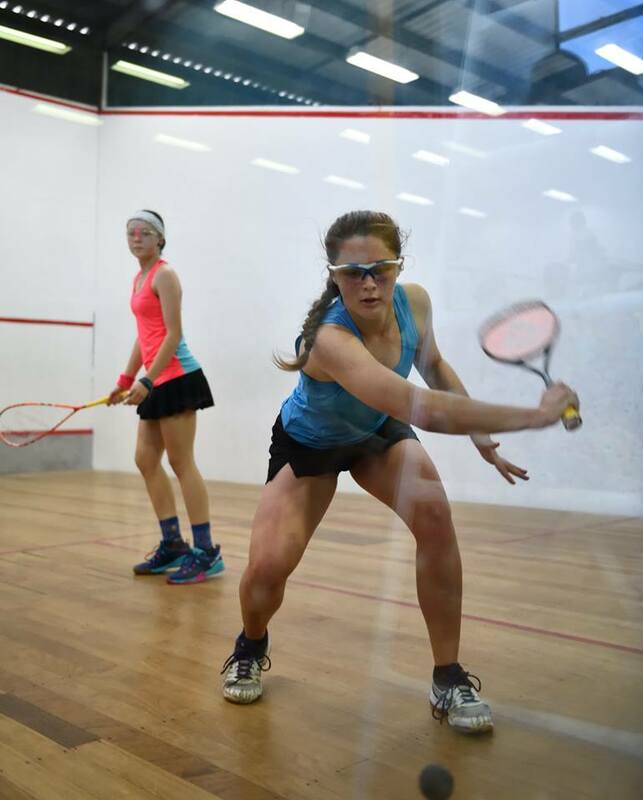 Her semi-final win against #1 seed Katie Davies in the U17G was absolutely full of merit. Let’s hope Kurstyn only draws confidence from this experience and continues to work toward performing well at the AJC. Northern Region players scooped the pool winning all 4 Eagle Awards. BJ MacDonald won the Peter Nance Achievement Award and Kurstyn Mather won the Rachael Grinham Achievement Award. The Achievement Awards recognise a player’s consistent achievement and sportsmanship throughout the entire individual championship. Youngsters Francis Morove won the Chris Robertson Encouragement Award and Sarah Brazier won the Rachael Grinham Encouragement Award. The recipients of the Encouragement Award will be from Under 13 or below. The Encouragement Awards are during the individual championship based on a person’s attitude, determination and heart in a LOSING situation. 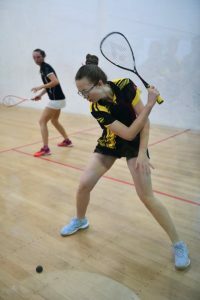 8 Northern Region players will contest 7 finals on the last day of the 2018 Queensland Junior Individual Championships being played at Scottvale Park Squash Centre in Rockhampton. 71 matches were played today (Day 3). 47 (66%) of them involved a NR player and 28 (60%) of them were won by a NR player. A great day! One can only be impressed with the results achieved by our NR juniors today. Getting four NR players into two finals guarantees two State titles. Whilst there will be a winner and sadly, a loser, the players concerned should be extremely proud of their achievements. Reaching a final is a very special milestone indeed. Becoming a champion is the next step! Be confident and remember to keep playing the game that got you there in the first place. Relax and strive to keep getting one more ball back in each and every rally. That puts pressure on your opponent. 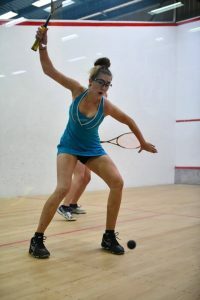 Match of the Day honours belonged to Kurstyn Mather (Cairns) who beat Brisbane’s Katie Davies in the U17G semi-final. Davies was a red hot #1 seed so this was an incredible upset. Despite losing the first two games #5 seed Mather never surrendered. She just kept on fighting and was rewarded for her gallant efforts with a terrific win in five. The final game was an epic 15-13 win. In her own age group event (U15G) Mather had a good win against #3 seed Madison Lyon (Brisbane) despite dropping the first game. She will now play #1 seed Ella Burge (Brisbane) in the final. Playing in two finals is a wonderful achievement. #2 seed Hayley Hankinson (Mackay) played out of her skin to record an impressive and gutsy win against arch rival Ella Burge to advance to an all Northern Region U17G final against Kurstyn Mather. The score line clearly indicates just how close this match was with Hankinson winning vital points at crucial times: 11-7, 9-11, 12-10, 4-11, 12-10. Mackay’s Payton Douglas (seeded #1) finished the U13G round robin event undefeated with another clinical 3-0 result. 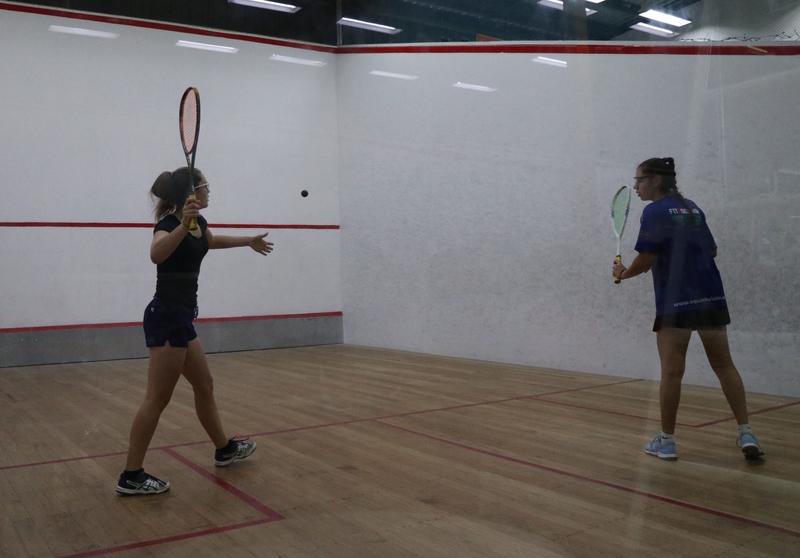 She now has to play-off for the title against #2 seed Elaine Cheung who finished second. 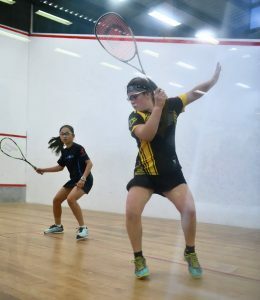 Douglas beat Cheung on the first day in three 11-6, 11-7, 12-10. 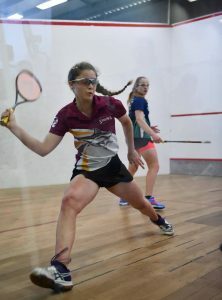 Courtney Mather (Cairns) won her U19G semi-final like a good #1 seed should with an emphatic 3-0 win against Laidley’s Lauren Luck. She will face #2 seed Katie Davies in the final after the Brisbane girl struggled to get past Mackay’s Summer Palmer 11-4, 12-14, 5-11, 11-2, 11-4. 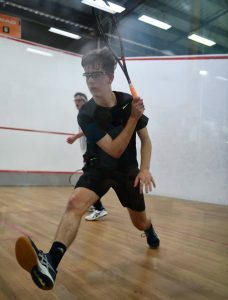 #2 seed Wes Dyer (Mackay) was on fire against Declan Cashman charging into tomorrow’s U17B final with a strong 3-0 win. Dyer now plays his arch rival and #1 seed Josh Penfold in what is expected to be a very tight contest. 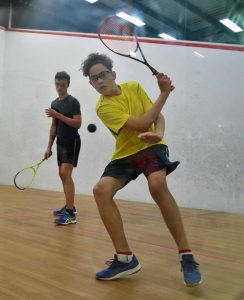 Despite a close first game and dropping the 2nd game, #1 seed BJ MacDonald (Mackay) took control of his semi-final match against Gladstone’s Nicholas Briggs and moved into the U15B final. He will not play who he expected in the final after visiting player Kijan Sultana from Malta destroyed #2 seed Luke Eyles 11-6, 11-2, 11-3. Sultana is a rising junior who is being coached by Brad Hindle. His sister Colette is a PSA player currently ranked #123 in the world. Another all Northern Region final will be played in U11B. 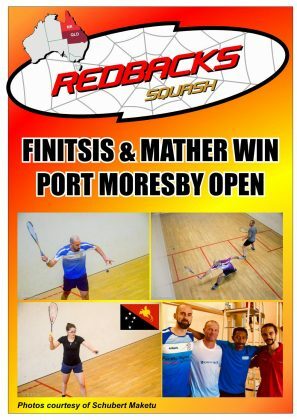 Cairns’s Michael Lawrence (#1 seed) will take on Redbacks team mate Liam Fascetti (Ingham’s #3 seed) who sent the #2 seed Nickolai Wolpers (Brisbane) packing with an upset win in four. Good luck to all our finalists. By Kim Schramm. Photos by Toni van der Kreek and Kerry Mather. Only 7 Northern Region players progressed today to the semi-finals or closing stages of round robin events at the 2018 Queensland Junior Championships being played at Scottvale Park Squash Centre in Rockhampton. There were 54 matches played on Day 2. 30 of them (56%) involved a NR player. 15 of them (50%) were won by a NR player. The match of the day belonged to BJ MacDonald from Mackay who beat Brisbane’s Declan Cashman in the U19B quarter final. 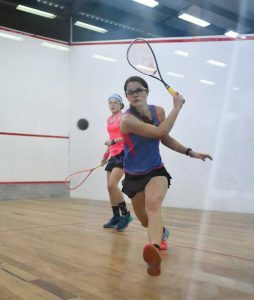 MacDonald, the #5 seed got off to a flying start winning the first two games 11-5, 11-6 before the #4 seed fought back to take the contest into a fifth game decider. MacDonald regrouped and absolutely destroyed Cashman 11-3 to take the match and set up a showdown with the #1 seed Nicholas Calvert (Brisbane) in tomorrow’s semi-final. What makes his effort that little extra special is the fact that MacDonald is the #1 seed in the U15B where he entered the competition for the first time today and beat Redbacks team mate Josh Porter in three. Only #2 seed Wes Dyer (Mackay) reached the semi-finals of the U17B after some good results were recorded by NR players yesterday. Dyer was simply in cruise control beating Brisbane’s Mackenzie Mutton in three. Jordon DiBella, Jake Webb and Sean Julius Wright all bowed out to higher ranked opponents. Cairns’s Michael Lawrence played well today beating club mate Francis Morove in the higher age group (U13B). Once again it is a commendable effort by the youngster to reach the semi-final. He will now look to impress against #1 seed Zane Wolpers. 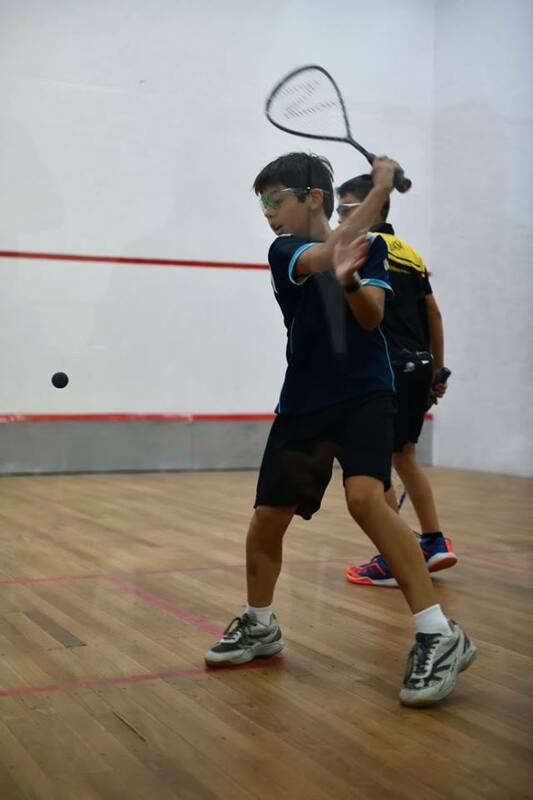 There was no competition played today in the U11B however #1 seed Michael Lawrence is ready and raring to go against Jia Jay Sia (#4 seed) from Brisbane in tomorrow’s semi-final. 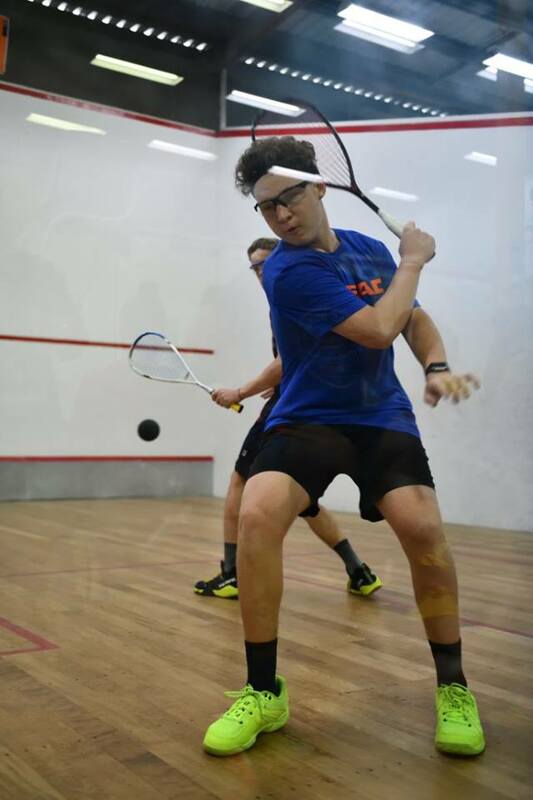 Likewise, #3 seed Liam Fascetti (Ingham) is keen to do his best against #2 seed Nickolai Wolpers (Brisbane). There was no play today in the main draw of the U21 Mixed but Townsville’s Brad Martin (#4 seed) is ready to do his best against #1 seed Riley Steffen (Rockhampton) in tomorrow’s semi. 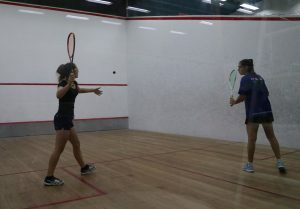 Townsville’s Hayley Menta (seeded #5) kept her winning record in tact with a 3-0 win against #4 seed Tenielle Lambert. She will be fully tested tomorrow when she takes on both the #1 and #2 seeds in the U11G round robin event. Mackay’s Payton Douglas (seeded #1) notched up another 3-0 win and is one win away from finishing on top of the U13G round robin points table. #2 seed Kurstyn Mather (Cairns) was too good for club mate Amy Condon advancing to the semi finals with a 3-0 victory in the U15G event. She will now take on Madison Lyon (Brisbane’s #3 seed) to earn the right to face #1 seed Ella Burge (Brisbane) in the final. Mather (#5 seed) also scored a strong 3-0 win in the U17G event beating Laidley’s Lauren Luck (#4 seed) to set up a semi final clash with #1 seed Katie Davies (Brisbane). #2 seed Hayley Hankinson (Mackay) entered the U17G competition today and was too good for Redbacks team mate Kiara Stubley (Cairns) winning in straight. She now takes on one of her arch rivals in the form of #3 seed Ella Burge. By Kim Schramm. Photos Toni van der Kreek. 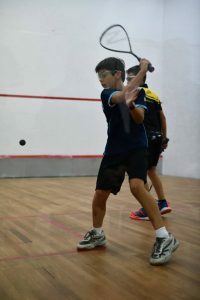 The 2018 Queensland Junior Championships got underway at the Scottvale Park Squash Centre in Rockhampton today. 106 players are participating (68 Boys and 38 Girls). 79 Matches were played on Day 1. There are 33 juniors competing from Northern Region: Cairns 14, Mackay 11, Townsville 5, Ingham 2 and Innisfail 1. Cairns’s Amy Condon recorded the best performance of the day. The #10 seed beat the #7 seed Jess Prior (Gold Coast) with a consistent performance in straight. 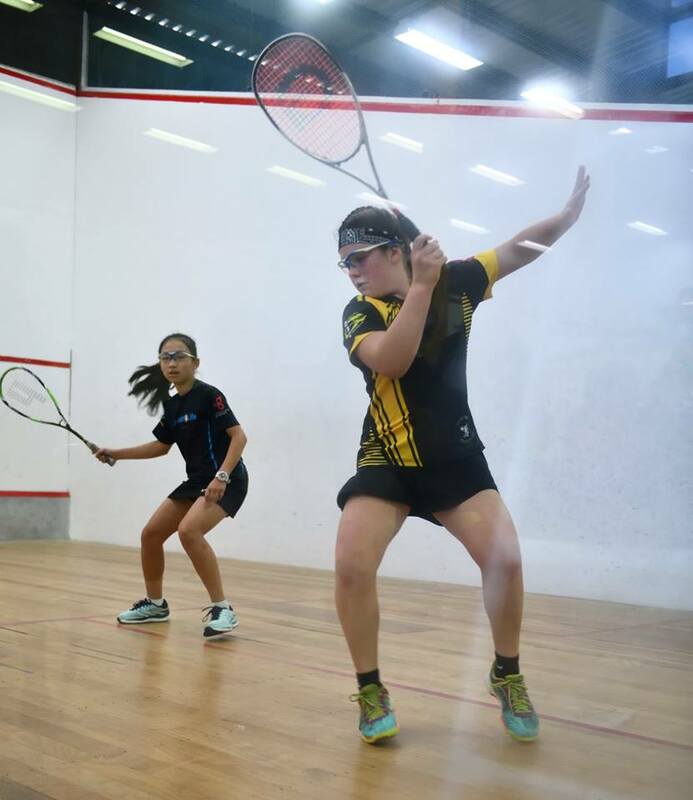 Townsville’s Hayley Menta (seeded #5) is doing well in the U11G winning her first two round robin matches. Her best result was her victory over #3 seed Alexandra Millan. There were a number of #9 seeds beating the #8 seeds. 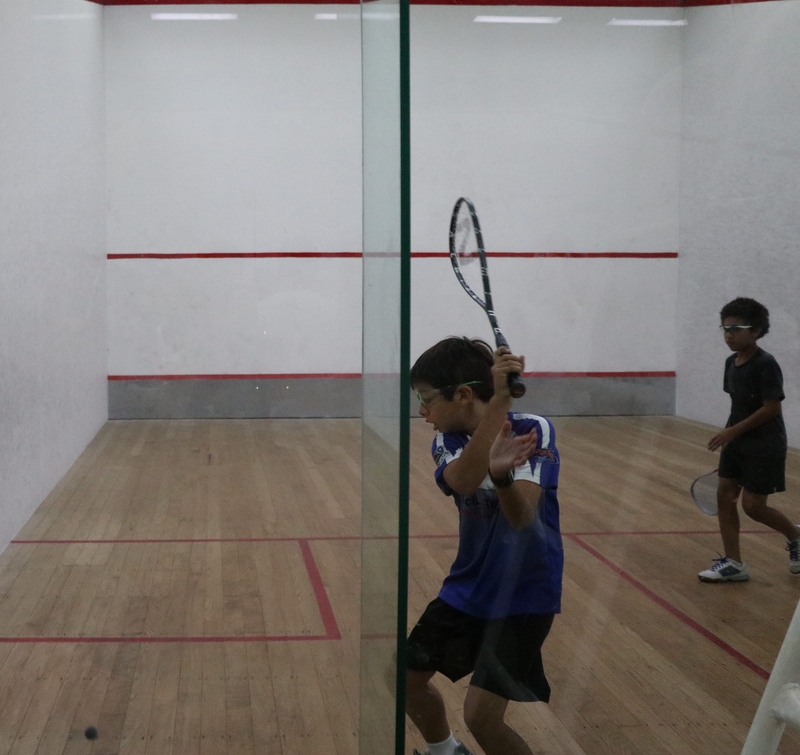 In the U15B Josh Porter (Cairns) beat Matthew Brazier (Mackay) in one of the few 5 game matches on Day 1. Porter finished off Brazier 13-11 in the 5th. In the U17B Jordan DiBella (Ingham) beat Kyle Hoani Vincent (Mackay) in straight. 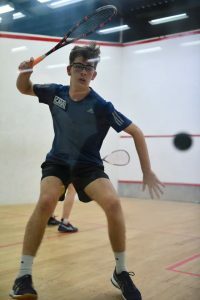 In U19B Townsville’s Brad Martin recorded a good win over Rockhampton’s Kobe Weder in five with the last game being a close 11-9. 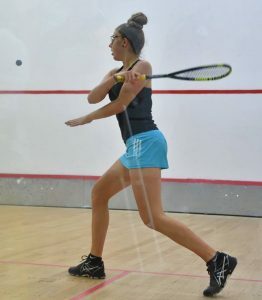 In U17G Cairns’s Sophie Fadaely had a good win against Kalesha Ogle (Rockhampton). Cairns’s Kiara Stubley and Shantelle Ale played each other twice. They had some close games but Stubley proved the stronger winning 3-0 in U15G and 3-1 in U17G. Mackay’s Payton Douglas (seeded #1) had a good day beating both the #2 and #3 seeds in the U13G in three. The June 2018 issue of the Northern Region Redbacks Newsletter is now available. The May 2018 issue of the Northern Region Redbacks Newsletter is now available. 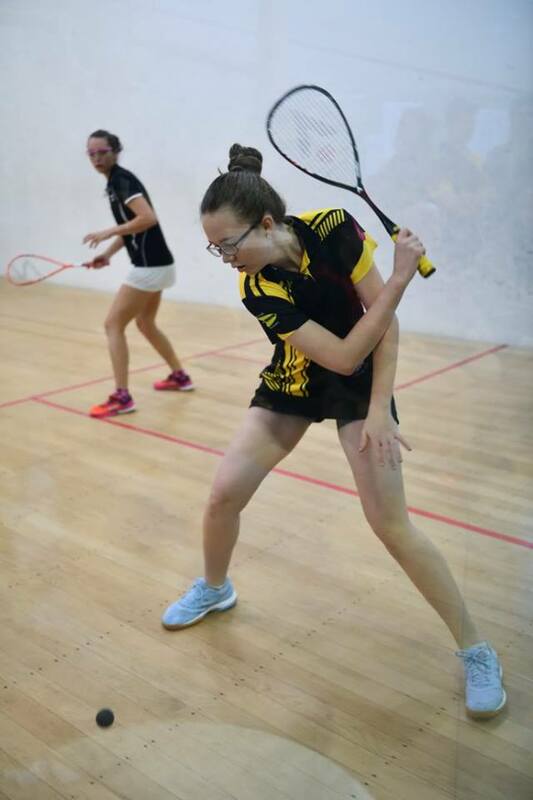 The forth Northern Region Junior Qualifier, the 2018 A&L Smash Repairs Mackay Junior Squash Championships, will be hosted at the Mackay Squash Centre on the 5th to 6th May 2018. 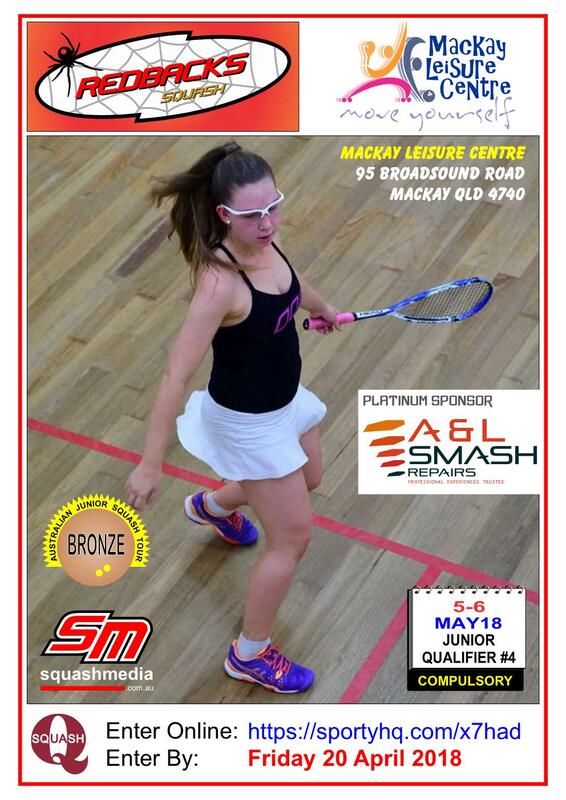 The 2018 A&L Smash Repairs Mackay Junior Squash Championships is a premium regional junior tournament with OVER $1800 in PRIZES/GIFT CARDS. 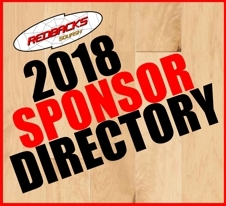 Players need to compete in this tournament to be eligible for selection on the Northern Region Redbacks team, which will compete in the Queensland regional teams event at the 2018 Queensland Junior Championships (QJC). The Northern Region Redbacks team will be announced at the presentation. Games may be scheduled for Friday evening for available players. Otherwise players are expected to be available between 8:30 am and 5:30 pm on Saturday and Sunday except with prior approval. The 2018 A&L Smash Repairs Mackay Junior Squash Championships will commence at 8.30am sharp on both days. Players are to be present and checked in with Tournament Control 30 MINUTES before the scheduled time of their match. Game scheduling is an estimate of game times. Please be aware we will be “following on”. The tournament promises to be a fun event for all junior players. FREE Saturday Night dinner will be provided by Domino’s and Northern Region. Venue: Mackay Botanical Gardens. Lagoon Street (near MacKenzie Street) North Mackay. 1) Two tiers – an aged championship, alongside a novice graded competition. This will encourage and inspire new players to the sport and tournaments. 2) Doubles team nominations & matches for Aged Championship Players only. Friday, 20 April 2018 11.45pm.